Unlike Brussels, Hungary and Bulgaria believe that the answer to demographic challenges is family support rather than migration, Foreign Minister Péter Szijjártó said on Tuesday after talks with Bulgaria’s deputy prime minister, Mariana Nikolova. “We will never allow them to force us to change this approach,” Szijjártó told a joint press conference. He said Hungary and Bulgaria were in agreement regarding the most important issues and Bulgaria continued to be Hungary’s strategic ally in terms of European issues. Hungary and Bulgaria maintain friendly relations, he said, and it is important to further develop these. The two countries have faced many similar challenges in the recent period and have given similar responses to them, he added. Both countries faced economic, security and demographic challenges and the responses by both governments have been successful, he said. The two governments are in agreement that migration is not the right response to demographic challenges, and these should be solved through family support, Szijjártó said. Increasingly value-added jobs are being created in Hungary, and last year was the first time that the rate of Hungarians returning from abroad outpaced emigrant workers, he added. Hungary and Bulgaria are also in agreement that it is every state’s responsibility to protect its own borders and guarantee the security of its citizens. The protection of external borders is a priority for both countries, he said. Bulgaria employs serious border protection infrastructure to protect the EU’s external border and Hungary does the same, he added. Building a fence has proven a successful response to security challenges in both countries, he added. Szijjártó noted that Bulgaria is not a Schengen member, and he lamented that despite the fact that Bulgaria has been able to protect its borders, it has been denied membership of the area. At the same time, there are Schengen member states that have been unable to protect their borders, he added. Cooperation between Hungary and Bulgaria in border protection will be maintained, Szijjártó said. Last year, 44 Hungarian police served on the Bulgarian-Turkish border and Hungary also provided technical help for Bulgaria, he added. Neither Bulgaria nor Hungary voted in support of the United Nations Global Migration Compact because it carries the threat of further waves of migrants, he said. Meanwhile, Szijjártó said it was important that Hungarian companies carry out significant investments abroad. OTP Bank is poised to become one of the largest players on the Bulgarian market and pharmaceuticals company Richter is involved in increasingly widespread activities. 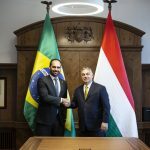 Cooperation between Hungarian and Bulgarian companies has been helped by a 165 million euro credit line offered by Eximbank, he added. Concerning talks about the next seven-year EU budget, both Hungary and Bulgaria insist that cohesion resources should continue to play an important role, he said. Nikolova said Hungary was an important partner, and she expressed thanks for the support Bulgaria received from Hungary for its Schengen membership endeavours, as well as help to stop the wave of migrants on the Bulgarian-Turkish border, an external European Union border. 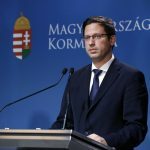 Hungary-Bulgaria ties are characterised by “dynamic dialogue”, Szijjártó said, adding that cooperation both at the bilateral and European level was “broad”. Hungary and Bulgaria share standpoints on major issues such as the situation in the Western Balkans and the EU’s cohesion and farm policies, he said. Noting that Hungary is a major business partner of Bulgaria’s and one the country’s largest investors, Nikolova called for a further tightening of economic ties. Answering a question, Szijjártó said Hungary wants to beef up the protection of its strategic facilities and is planning to buy an intermediate air-defence missile system. He added that “talks will soon enter the final phase” but said that it was necessary that parliament’s defence committee “make legal conditions and processes for the purchase simpler”. He also said it was “too early to talk about sums”. Szijjártó also said that talks with US Secretary of State Mike Pompeo in Budapest on Monday had not touched on either Hungarian or US domestic affairs and focused instead on bilateral cooperation as well as “international developments that could influence it”.